Abelssoft Backup backs up the most important folders by default, you didn't have to make complicated backup settings by your own. If you want more, you will be supported to your individual backup thanks to intuitive processes. Abelssoft Backup has a modern, minimalistic interface. It has a simple wizard that walks you through your backup process in several simple steps. 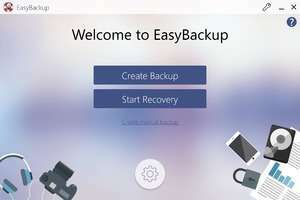 EasyBackup 2019 is a shareware program and can be used as a demo to try the software until the free trial period has ended. A full version of the program is available after the trial period ends. For security reasons, you should also check out the EasyBackup download at LO4D.com which includes virus and malware tests. Additional screenshots of this application download may be available, too.